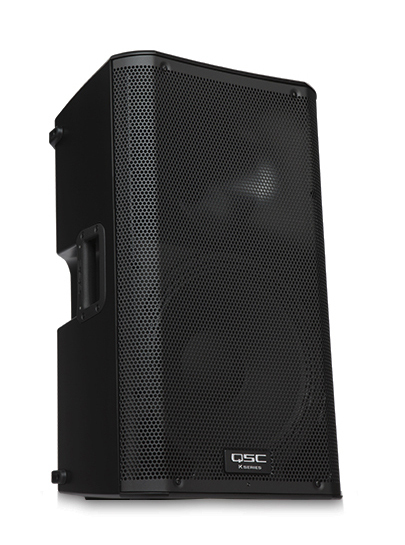 The QSC K Family of speakers are the most lightweight available at this size and power rating. Built from the same tough material as American Football helmets, these speakers can survive more than the odd knock. Some of the K12’s features are listed below. The K series speakers deliver 1000 watts of power (500W LF and 500W HF) with a built in Class D amp for clarity. They also offer a built-in 2-channel mixer, allowing for mixing of inputs with minimal effort. Each K12 speaker is angled down by 7.5 degrees to focus sound on the audience, and has been tested and frequency matched to provide even sound coverage across the intended listening area. DMT™ (Directivity Matched Transition) provides for matched LF and HF coverage across the entire listening area, eliminating unnatural “dead” or “hot” frequency zones. The prices above are for hiring a single K12 active speaker. If you would like to hire more than one (up to four), please multiply the prices below by the number of speakers you wish to hire.